In some Scandinavian cultures, Santa Claus wasn’t always the cheery chappy he’s known as these days. Back in the bad old days, he was known as Joulupukki (the Yule Goat) andaccording to some versions of the legend he would torture and kill any little children who were naughty. Why give you this rather grim history lesson? 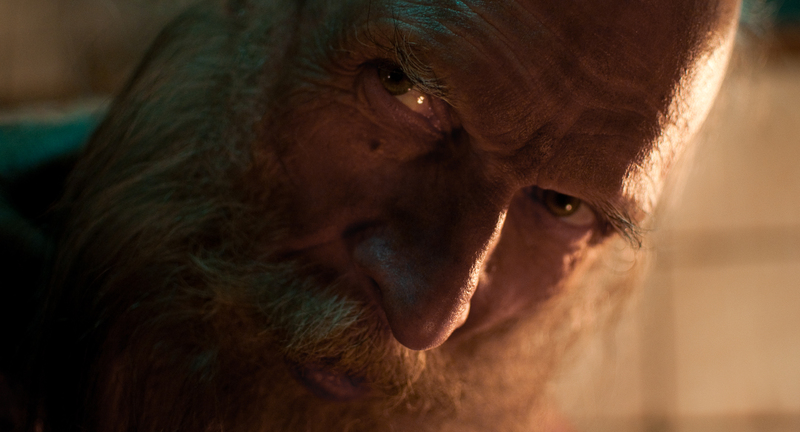 Because this evil Scandinavian Santa is the subject of Rare Exports, a Finnish horror film with a dark sense of humour. The film starts a month before Christmas, with a group of excavators about to create a huge hole in a Finnish mountain in order to find some top-secret cargo frozen in its depths. Unbeknown to the excavators, young Pietari and his friend are spying on them to see what’s going on. Realising the workers are about to use dynamite, Pietari and chum leg it and return home, escaping through the hole they cut in the fence to reach the off-limits excavation site. Rare Exports is a very pretty film. The scenery is impressive, and the scenes in which snow is constantly falling snow are hypnotic at times. This is one well-shot film. It gets even better during the final half-hour, where the true Santa is revealed and the surprisingly decent CGI kicks in. "You've got to get me out of here. I wrote that naughty list for innocent reasons"
The main letdown in the film is the finale. After building up to a potential encounter with a huge, dormant beast, the way in which it’s dealt with is too convenient and seems like it was done that way to avoid more difficult CGI work. As a result the big moment the whole film seems like it’s building up to never really happens. Add to that a silly final scene and you’ve got a generally disappointing conclusion. That aside, Rare Exports is a great little film. While it never really gets as tense or scary as it threatens to, it still tells a fun and slightly silly story that makes it worth a watch over the festive period. 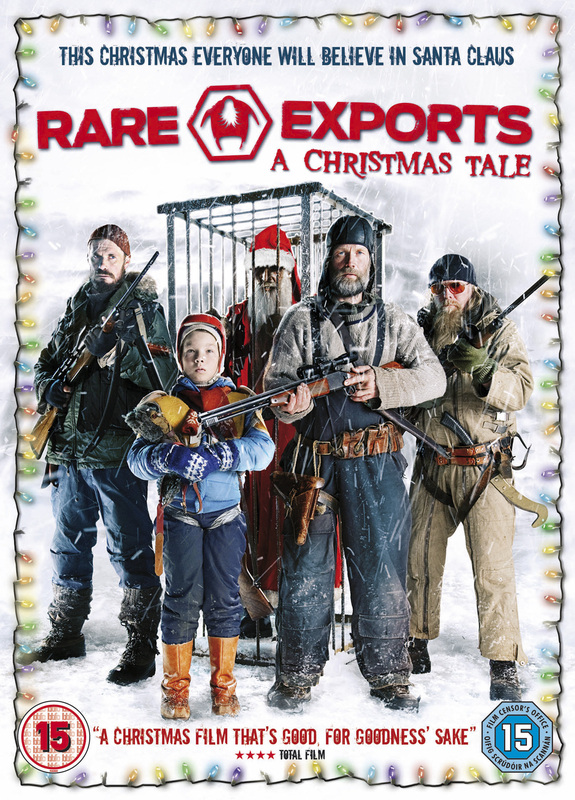 Rare Exports is out on DVD and Blu-Ray on 7 November so you can pre-order the DVD for £9.99 by clicking here or pre-order the Blu-ray for… um, £9.99 for some reason, by clicking here .